A folk group from Milazzo, Sicily, formed in 1975 and specialized in reworkings of traditional popular tunes from their area, hence very little "progressive", at least in their early days. But thanks to their contract with RCA, Taberna Mylaensis were particularly active in the national live circuit, being able to support Francesco De Gregori in an Italian tour, take part in the 1976 Parco Lambro festival (and they even appeared in the live album released for the event), and even play in foreign countries. Since the early 80's, starting with the Gricalata album, they introduced electric instruments, original tracks and more rock-influenced sounds, and despite continuous line-up changes around the leading figure of Luciano Maio, the group is still active now. Despite the long name, in perfect progressive style, this group played in a straight song style, and their only album has long vocal parts on social themes and is rather unoriginal in terms of musical contents. A supergroup formed by Franco Battiato for a short series of concerts in 1975, whose recordings were first released by the Musicando label in limited vinyl and CD pressings. The group also included Juri Camisasca and ex-Giganti Mino Di Martino. Musically speaking they were in the free-form avantgarde field. 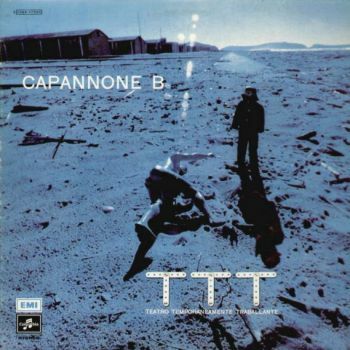 Notable more for their stunning album cover, one of the best in the Italian 70's production, designed from Osanna's singer Lino Vairetti, than for their LP contents, Tempo di Percussione was an ensemble formed in Naples and directed by Antonio Buonomo, using all sorts of percussive sounds to create melodies along with rhythms. The result, mostly instrumental, is closer to avantgarde, jazz and contemporary music than to the classical Italian progressive rock, but can be worth listening, though the LP is very rare. Particularly sought after by Japanese collectors, this LP includes an average melodic pop with just some interesting keyboards and sax instrumental parts. The LP was only issued in Canada where Teoli presumably lived. This singer from Rome, who's still in activity in the piano bar circuit, is notable for the presence of the musicians of La Seconda Genesi (credited on the label as Paride e gli Stereo 8) as backing band on the A-side of this single, probably released in 1970 or 1971. The track Padre mio, padre Dio is a soft-prog song but it contains a good flute part and nice organ in evidence. The B-side is a more conventional orchestrated pop song. This trio from Bergamo only released a single in 1973, with an English sung A side and an instrumental on side B. Another track, It brings a tear, only appeared on a promotional single with a song by Yoice (later Analogy) on the other side. They later evolved into Perdio. 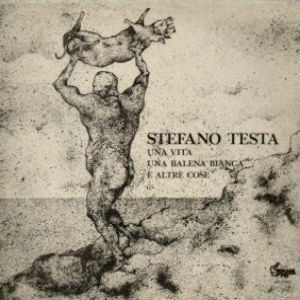 Born in Rome but raised in Porretta Terme, halfway between Bologna and Florence, Stefano Testa played in the 60's with the beat group Gli Scorpioni, then concentrated on his own compositions, inspired by the English progressive. 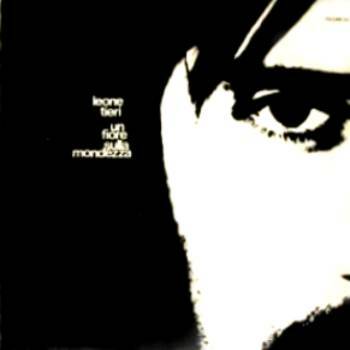 His only solo album, Una vita, una balena bianca e altre cose, came out in 1977 on the small Disco Più label. A songs album with inspired lyrics, yet the LP contains long instrumental parts and orchestral arrangements in some songs. The stand-out track is the opening 16-minute long suite Una vita, with a complex structure and acoustic guitars and flute to the fore. The lyrics are based on the last moments of life of writer Cesare Pavese. The guitarists of the acoustic trio Portici also took part in the recording. A new suite, Decadenza e morte di Andrea il traditore, was proposed to the record company, but never recorded. In 1989 Testa went back in a recording studio with the group Boogaboo for an english-sung album, with jazzist Tony Scott guesting on one track, while in 2016 he has released his second solo album. 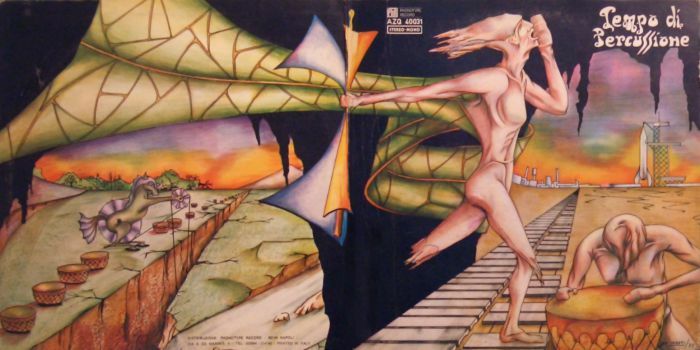 An artist with a wide and ecletic production, Rosario Sferrazza (a.k.a. Diego Pepe), was also briefly influenced by the progressive style during his long career. Coming from Sicily, he moved to Turin and then in Liguria in the Savona area. 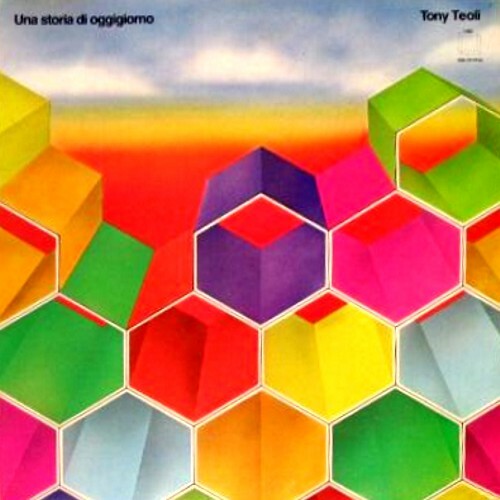 After some singles issued in 1966/67 with his beat group I Cavernicoli, Pepe reappeared in 1974 under the name Theodoro Re dei Poeti, for a single, issued with two covers (with a light blue or purple background). It contains a rock'n'roll track on the A side, while Preparati bambina on the other side has a flute part closer to progressive sounds. The same song, with different lyrics and titled Jump on the motorcycle is also included on a single by Theodorking Group (Metropol MRC 7079) probably issued in 1978 and containing Young Amazzonia on the A-side. 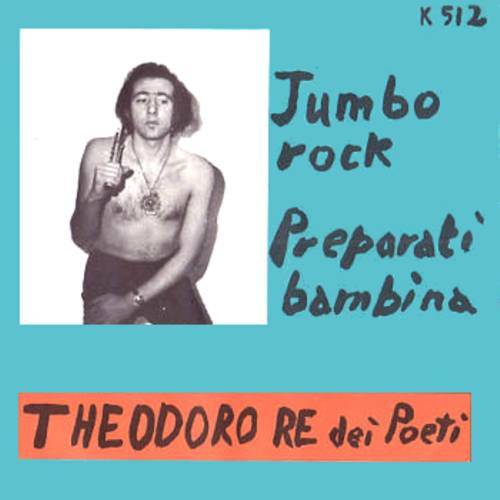 Under the name Theodorking Group at least another single was released in 1975 containing Happy people every where and Samborrombon, on City label (C 6323) and the name Theodorking Sax was used on the 1979 single Dedicated to Fausto Papetti (City C 6412 – coupled with Eugenio Arrighetti/Accattone on the B-side). A CD compilation was released in 2007, dedicated to Diego Pepe and his groups, entitled Theodor King Group Collection 1974-1980 (MMM CD 104). 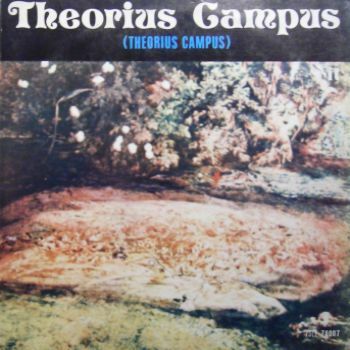 Though the title and the gothic inspired cover of this album can let someone think of a progressive group, Theorius Campus was in fact the name chosen by two young singer-songwriters from Rome, Antonello Venditti and Francesco De Gregori, soon to become very popular, for their recording debut. An album of quality songs, well made and with some interesting arrangements, this is now rare in its original form, though it has been reissued in both vinyl picture disc and CD formats. The only album made by this artist is in a soft-prog style, with naive lyrics on social themes and a nice sound that resembles the late 60's. The gatefold cover, designed by Franco Lenzi, is very nice. Under the name Lino Tieri this singer-songwriter from Pescara had already released some singles since 1964, both as soloist and with two beat groups from Rome, Little Boys and later I Jaguars. His rare and expensive album from 1970 contains 11 songs with good lyrics, musically in a ballad style with a moderate psych feel; the presence of both members of Chetro & Co., Franco Coletta and Ettore De Carolis, along with Vittorio Nocenzi of Banco del Mutuo Soccorso confirms its quality. 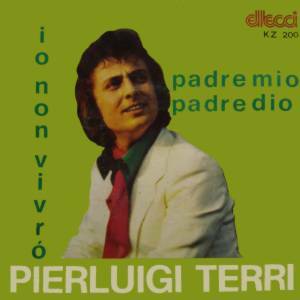 It's odd to notice that no less than four songs from the Tieri LP were included by the singer Louiselle in her 1974 album, Ispirazioni (Erre RRL 2018). A swiss group formed by two Brainticket original members (bassist Werner Fröhlich and drummer Cosimo Lampis, the latter of Sardinian origin) along with singer Benjamin Jäger (who left after the first album) and Italian guitarist (from Domodossola, Piedmont) Vittorio "Vic" Vergeat, Toad released their first two albums on the swiss Hallelujah label and their third one in Italy on the small Frog label. The group was particularly active in Italy during their career, also playing in a couple of relevant open-air festival (Palermo Pop Festival in 1971 and Rome Villa Pamphili in 1972). After a solo career Vic Vergat (as he changed his name) has reformed Toad in 1993 as a trio with original drummer Lampis, and is still playing nowadays with his own band. Lampis, after playing with international artists, has collaborated in later years with many Sardinian groups and now runs a drum school in Switzerland. 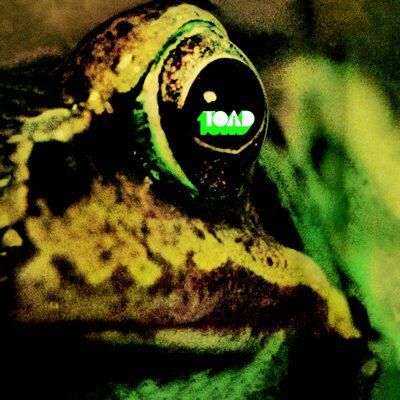 Along with their original three albums, reissued many times, quite a few studio and live unreleased recordings from Toad have been released in the latest years. Their singles were halfway between pop and soft prog, but I Top 4 from Parma were also featured in the Ariston label Al Festival Pop di Viareggio 1971 compilation with three good tracks, only one of which, Immagine, had also been released on single. 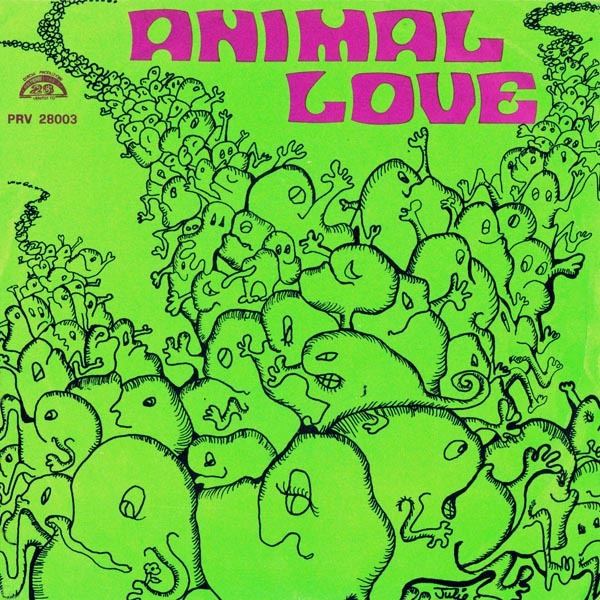 The group had been formed in 1966, played at Viareggio and Travagliato festivals, and included guitarist Roby Facini, later with Dik Dik and for a short while in Acqua Fragile before the end of that group. In 1973 I Top 4 changed their name to Ozymandias and became the backing band of singer Riccardo Fogli. 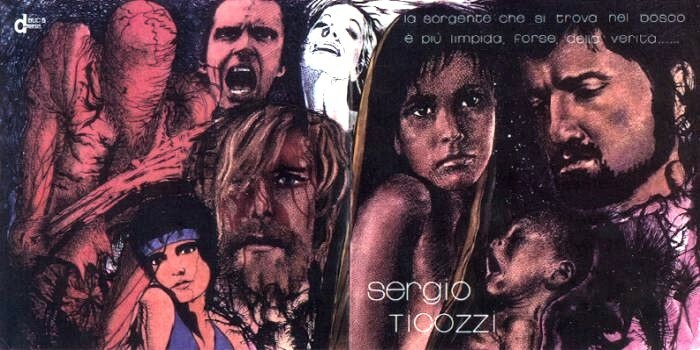 The only recorded work by this group, composed by popular names of the Italian music scene (Coletta with Banco del Mutuo Soccorso and Chetro & Co., Monteduro and Lusini as solo artists and composers, Borrelli with Alberomotore), was the soundtrack to a film by Antonio Bido, Il gatto dagli occhi di giada, released in 1977 (the English title is Watch me when I kill). Musically their style is close to Goblin, with rock and progressive influences. It was first issued on CD in 2006 and later on vinyl in 2017 with cutout cover. Formed by the Tirelli brothers after Lapera, this group was a typical electropop outfit of the late 70's. A studio group that only released this single, in the same style as Osage Tribe's Un falco nel cielo. 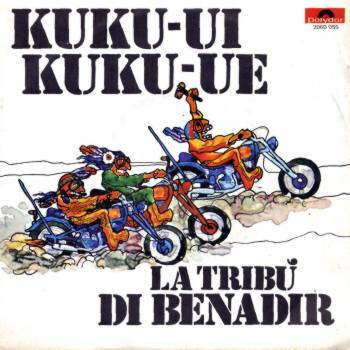 Behind the name La Tribù di Benadir hid I Nuovi Angeli, a popular 70’s commercial pop group, and this single was credited to them in Austria, where it was released with the same Italian cover, and Germany where it had a different photographic cover (both had catalogue number Philips 6025 095). 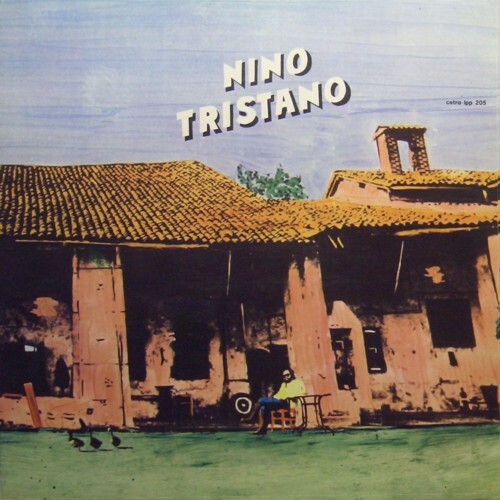 Singer/songwriter born in Calabria, Tristano (real name Nino Pirito) made an interesting album in 1972, which included original compositions and reworkings of traditional folk songs, with some acid/psych influences. The album was recorded with the collaboration of some musicians of the Milan area (Alberto Camerini, Eugenio Finardi, Donatella Bardi, Gigi Belloni, Dario Guidotti and Daniele Bianchini from Jumbo). 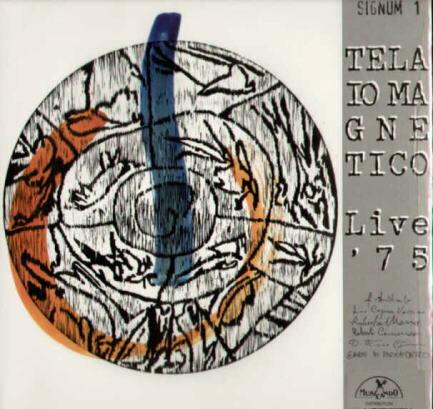 Tristano had also released many melodic singles since 1965, initially using the name Nino Pisano because he used to live in Pisa, and also participated in many national music shows. After the release Suonate, suonatori (sold in 1500 copie as Tristano himself says) he left the music scene to work as journalist. Thanks very much to Stefano Testa, Luciano Fassa and Valerio D'Angelo for information.